The British Overseas Airways Corporation Comet broke up in a violent storm only 6 minutes after take off from Calcutta en route to London. The cachet in violet was one of only 3 applied in India to mail recovered from the accident. 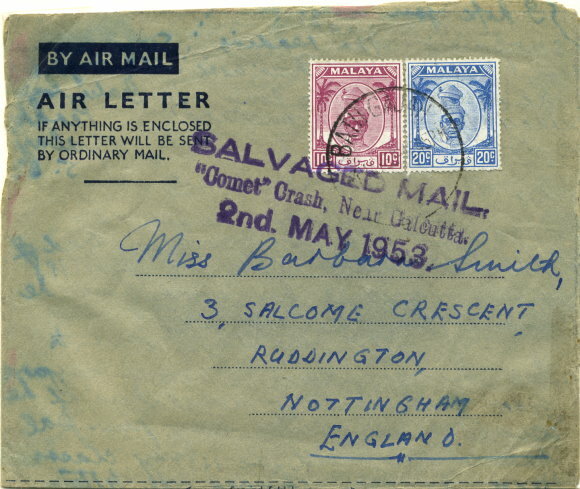 This cover received a scarce postmark at BATUGAJAH in Perak. Mail from India and Hong Kong was also recovered.